1. 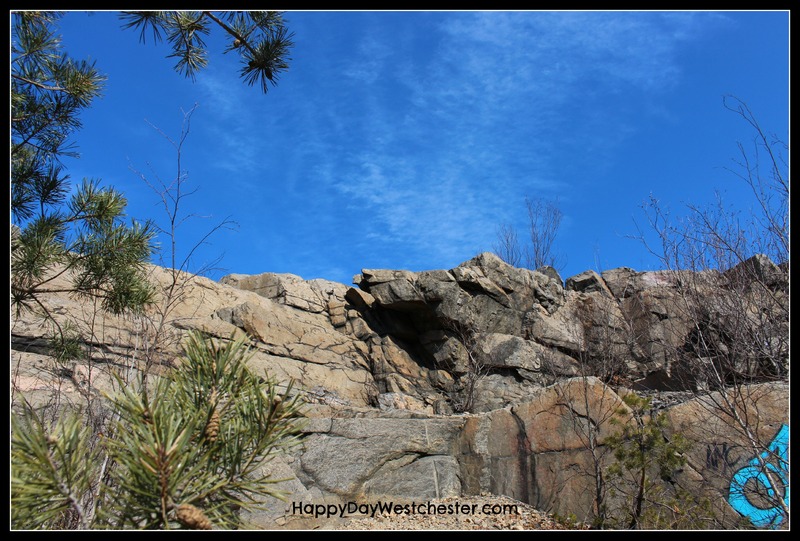 The quarry – it’s beautiful and there are plenty of areas along the back ridge where the kids can do some rock scrambling….with careful supervision, of course! 3. 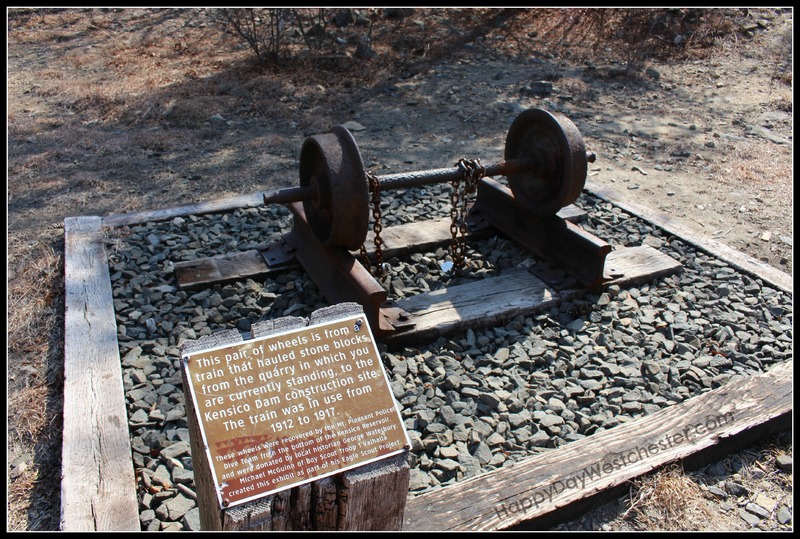 Relics of trains – trains used to carry the stone from the Quarry to the Kensico Dam during construction. 4. 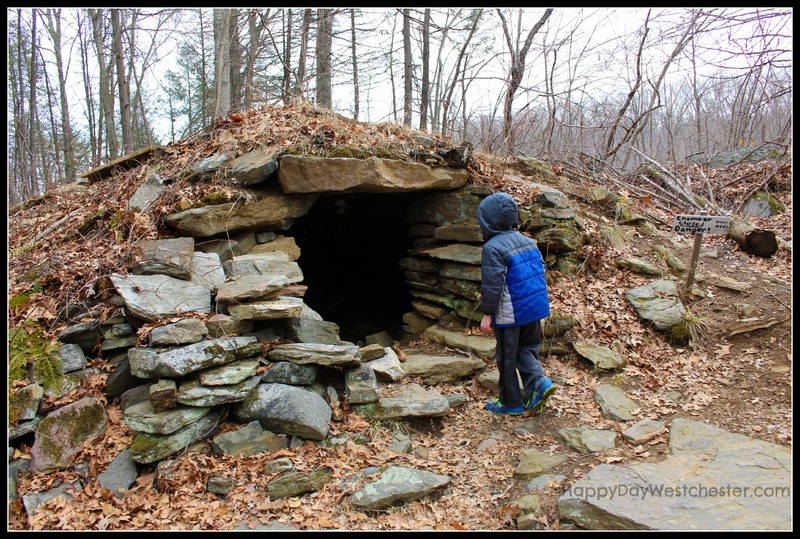 An Old Stone Chamber -another mystery- what was it used for? 5. 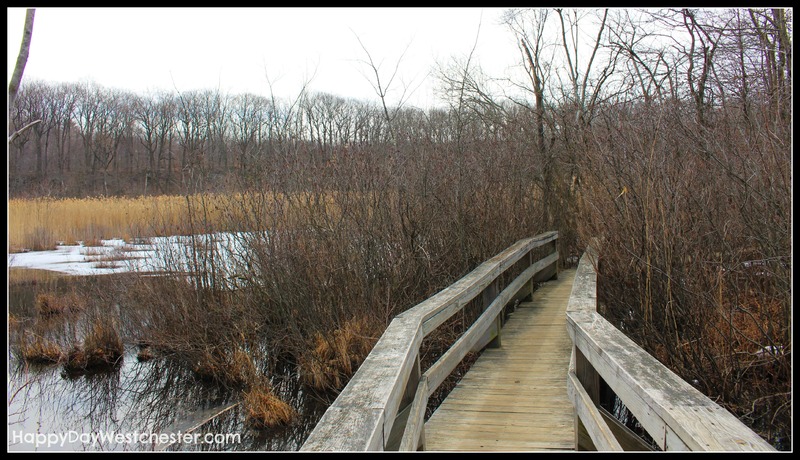 The Bent Bridge – walk out over the wetlands; you’re sure to see some wildlife here. 6. The lake– carved by a glacier 18,000 years ago. The rocky evidence of the glacial retreat surrounds the lake. One of the best parts about this hike: It’s a lovely, tranquil oasis right in the heart of Westchester. 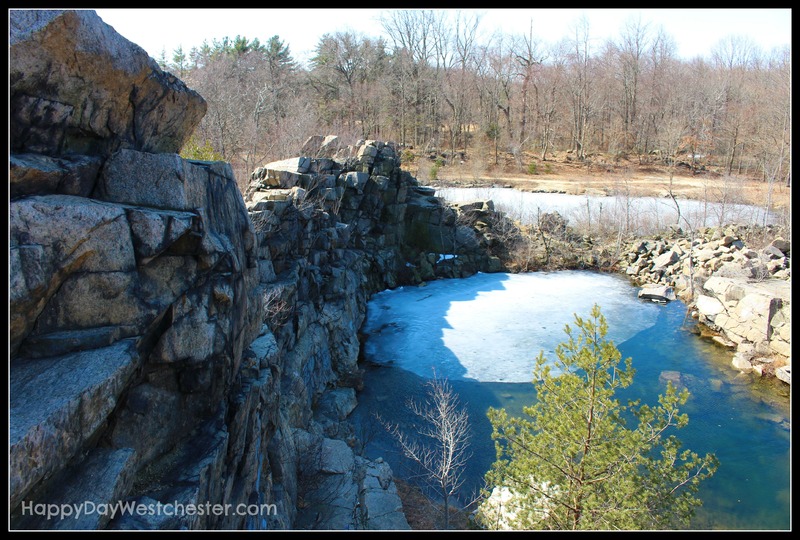 Just a few miles from downtown White Plains, it’s easy to get to; the perfect place for a short hike when you only have an hour or two to spare. Almost all the trails are flat and easy to walk for all ages. So….even though it’s still cold…getting outside for a hike is a guaranteed Happy Day. Share a little history with the kids, or learn some yourself; talk about the glaciers that used to cover our county; get yourself and your family a nature fix and a little exercise at the same time. 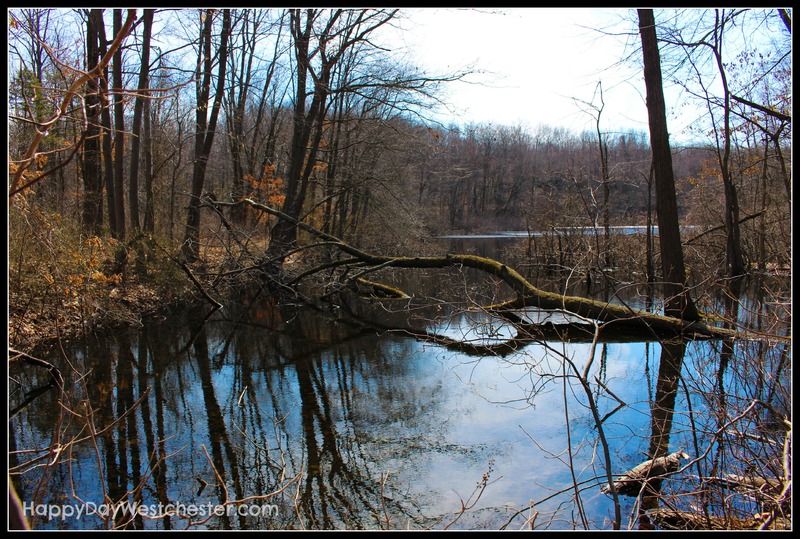 Check out Cranberry Lake! 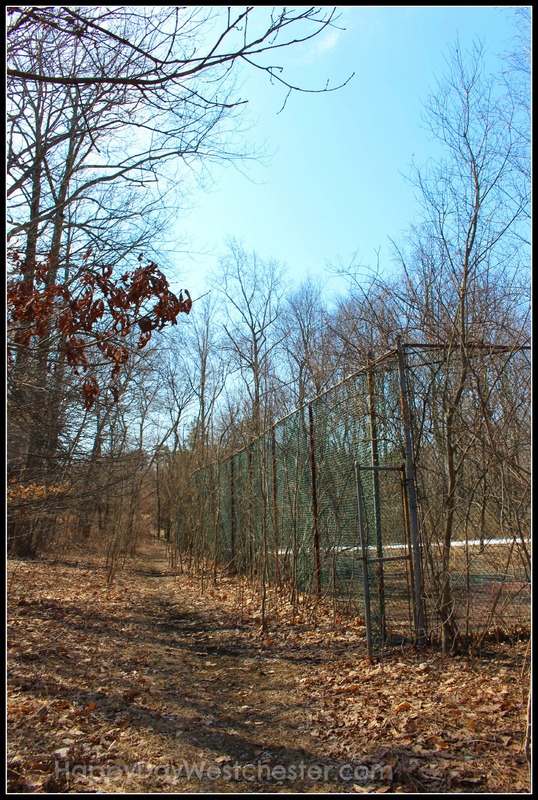 Click here to visit the Westchester County Parks web page about Cranberry Lake, for directions and more information. 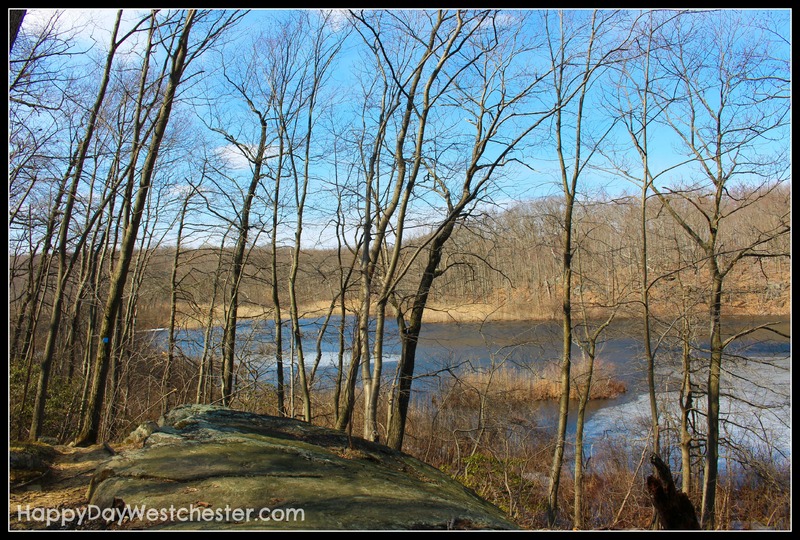 ← Wordless Wednesday…Where in Westchester? I have been wanting to check this spot out – sounds great!